Blood is considered ‘the eternal essence of life’, as our bodies are designed to run through blood flow. If you’ve struggled with recovery from an injury like a sprained knee, or chronic tendon issues, or you’re looking for facial aesthetics and hair restoration, then Rock Creek Wellness offers a safe, fast service that you’ll be interested in! Leadwood’s Top Rated Local® Wellness Center is proud to offer Eclipse PRP®, a proprietary system based on blood separation according to density using a unique separation gel. PRP, or Platelet-Rich Plasma, consists of an autologous concentrated preparation of platelets and the associated growth factors in a small volume of plasma. Although blood is mainly a liquid (called plasma), blood also contains small, solid components – red cells, white cells, and platelets. While platelets are best known for their importance in clotting blood, they also contain hundreds of small proteins known as ‘growth factors’ which play a vital role in the healing of various injuries, facial aesthetic enhancement, and even hair restoration! Eclipse PRP® can help because it contains many, many more platelets than what is typically found in blood. 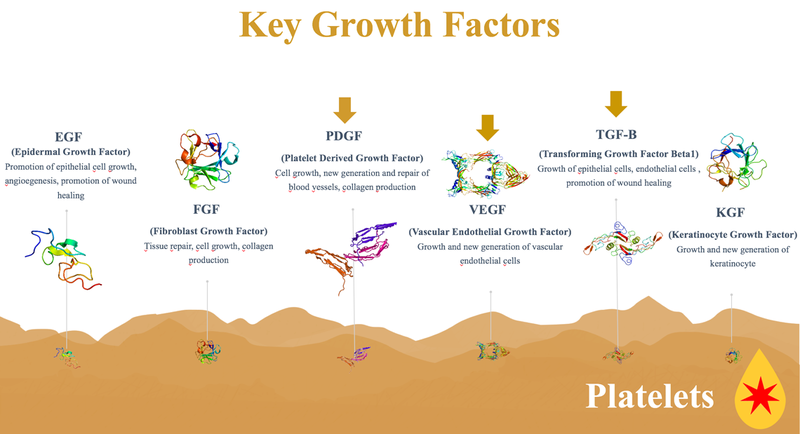 Thus, the concentration of growth factors can be 5 to 10 times greater than normal blood. In order to develop a PRP preparation, blood is drawn from the patient and the platelets are separated from other blood cells. Through a process called centrifugation, the concentration of platelets increases significantly, thereby introducing many additional growth factors to help expedite your injury recovery process and enhance certain cosmetic qualities of your skin and hair. If you have less than half an hour to spare for this FDA cleared 510(k) Class II medical device to help speed up the recovery of your aching injuries and enhance your skin and hair, then we strongly believe that the Eclipse PRP® system is perfect for you! As there are no foreign components with Eclipse PRP®, this virtually eliminates the risk of adverse reactions and allows for consistent platelet concentration. Plus, with fewer steps than other PRP systems, optimal platelet recovery levels (87% ± 10%) and only a very small volume of blood required, get the desired results you want in no time! Visit here to learn more about Eclipse PRP®, or contact our life extension specialists at Rock Creek Wellness today! Meta: If you’re recovering from an injury or you want enhanced hair restoration and facial aesthetic qualities, learn about an effective solution: PRP therapy!